Disney presents the inspiring true story of one little girl whose strength and dignity during the racially charged 1960s helped change history! When bright six-year-old Ruby is chosen to be the first African-American student to integrate her local New Orleans elementary school, she is subjected to the true ugliness of racism for the very first time. 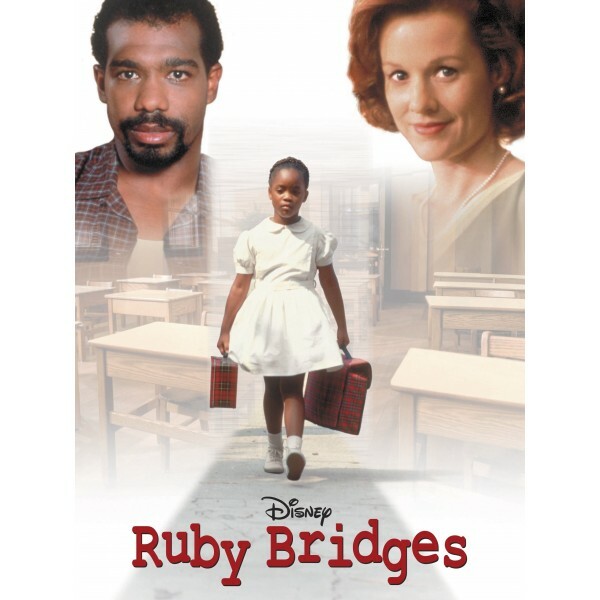 But guided by the love of her mother (Lela Rochon) and father (Michael Beach), Ruby's heroic struggle for a better education becomes a lesson for us all. An acclaimed and entertaining motion picture also starring Penelope Ann Miller and Kevin Pollak-- you'll want to share this remarkable story of courage and pride with your family! For several stories for young readers about Ruby Bridges' inspirational story, visit our Ruby Bridges Collection. This well-conceived made-for-television Disney movie brings the pain and difficulty of desegregation to life for a generation of kids to whom the 1960s is ancient history. Young Chaz Monet plays Ruby, who in real life walked up those Southern school steps with armed guards barely shielding her from the hate-filled epithets white adults hurled at her as she single-handedly desegregated the institution. Penelope Ann Miller plays her Yankee teacher--actually a tutor, since no white kids will share her classroom. Kevin Pollak plays the psychiatrist who donates his time to help her deal with the trauma, but won't eat her mother's food.